So, I’m officially tired of summer tomatoes. 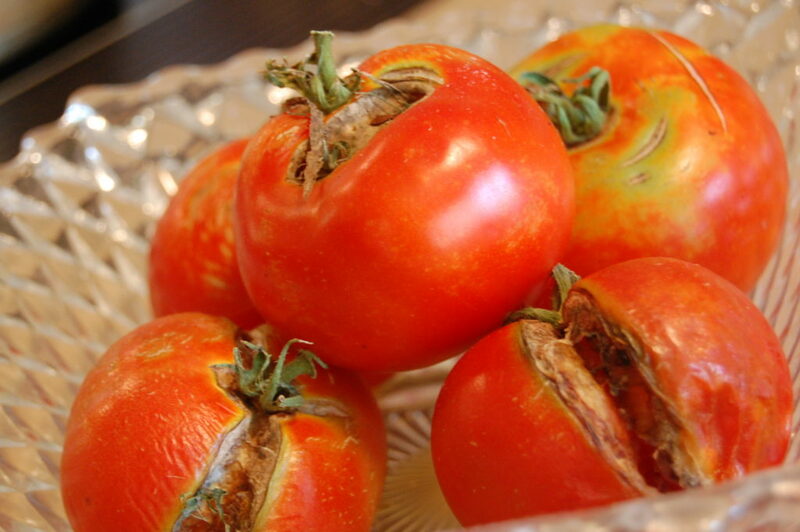 The first ripe tomato of the summer was a joy, but now they’re just a source of sadness. They’re all looking like this and I just can’t deal. Oh well, I have to clear out to start the fall planting anyway. So – what should we plant? Cilantro? Arugula? Beets? Oh… the possibilities!